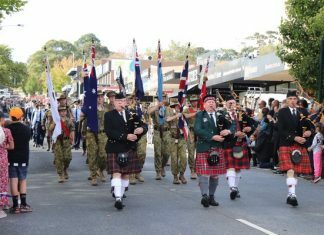 If the opening day of the Turf 1 season was any true indicator, it would be safe to say that Springvale South is looking even more formidable than first thought. While reigning premiers Mordialloc were without their superstars in Ian Daniel and Nuwan Kulasekera and had just one of their premiership bowling group available, the sheer dominance of the Bloods’ batting group was evident from the outset. It wasn’t the most ideal start with opener Liam Hamilton falling victim to new skipper Dylan Campbell (3/67), who enjoyed a strong opening spell. But aggressive opener Nathan King (61) was in no mood to simply see off the new ball, launching a tirade of sixes, and combined with Tim Ford (50), saw the home side quickly reach 1/90 as the lack of bowling depth for the Bloodhounds soon began a major problem. King’s highly aggressive nature eventually brought about his wicket, but it was an innings breathtaking from the beginning, and a brief fight back from the visitors as expected saw them peg the score back to a respectable 3/125. That’s until DDCA legend Steven Spojaric stepped up to the plate, combining brilliantly with returning all-rounder Jarrod Armitage to pile on 117 runs in good time, with Spoljaric carving 19 boundaries to the fence in a sensational performance. Arguably the greatest ever player in the competition’s history, Spoljaric calmly passed yet another century, finishing on 107 before departing. Armitage’s classy 38 and skipper Craig Slocombe’s entertaining 37 – that featured two sixes – saw the Bloods reach 7/313 in just 61 overs, before a declaration gave the home side just under 20 overs to play with. Brendan and Ryan Morris gave the Bloodhounds a fighting chance at stumps, helping the visitors reach 0/66 off 19 overs. Berwick, meanwhile, got going after a slowish start to reach 7/250 at Arch Brown Reserve against North Dandenong. The Bears didn’t have it all their own way and at one point sat 5/106 with skipper and superstar Matt Chasemore back in the sheds after falling to spinner Akshay Ballal (1/86), before Nathan Pilon (58) and new recruit Brendan Rose (74 not out) helped steer the ship. 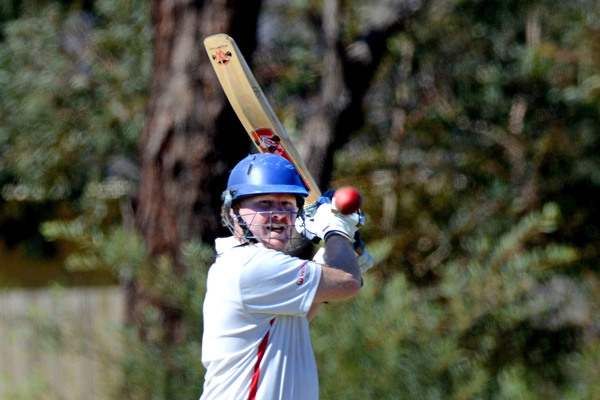 The former Casey-South Melbourne club champion brought his good batting form from his last season of Premier Cricket to compile a classy half century, striking seven boundaries and also combining late with Jack Phillips (33) to reach a strong total. The Maroons withstood a heap of pressure to get to stumps unscathed, and will resume with all 10 wickets in hand after Syed Mehmood (6) and Austin Heldt (11) got the visitors to 0/17 at stumps. 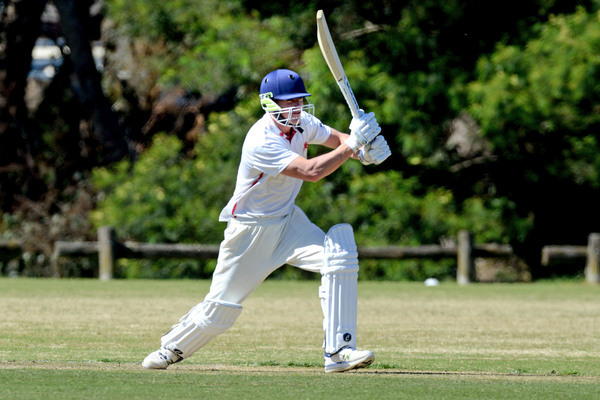 Overseas recruit Luke Davis, meanwhile, who last played for St Mary’s in 2009/10, started his second stint with the Saints with a bang, carving 100 and helping his team post 7/283 against Buckley Ridges at Park Oval. Davis’ last stint at the club yielded just 37 runs at 4.63, but showed great maturity this time around to make the most of his opportunities against a class bowling attack featuring Andersen, Daniel Watson, Chanaka Silva, Greg Todd and Wes Nicholas. Helped by a typically classy 76 by Ruwantha Kellepotha, the Saints – despite the best efforts of gun bowler Jurgen Andersen (4/52) – give themselves a massive chance of upstaging the premiership fancies. And Hallam Kalora Park racked up 7/257 against HSD at Reedy Reserve, with star recruit Jaime Brohier (30), Jagveer Hayer (64), Jordan Hammond (31) and Ryan Hillard making runs. In Turf 2, the sheer class and experience of Narre South captain-coach Scott Phillips was on show in a stunning bowling spell against Narre North on Saturday. Chasing the Lions’ first innings score of 199 after late cameos by Rumesh Rangana (62), Brad Parker (38) and Senel Ekanayake (33), Phillips tore the Rams to pieces in the final hour before stumps, taking 5/3 off seven overs to leave the visitors reeling at 5/20. Phillips produced an unplayable spell that has almost certainly got his side on the back seat for an opening round win. Cranbourne, meanwhile, will be looking to avoid outright after a disastrous opening day of the season against Dingley at Souter Oval. Another sublime bowling effort – this time by Dingoes spearhead Andrew Dalby (7/23) saw an almost unrecognisable Eagles side skittled for just 60 in just fewer than two hours. Dalby ensured the Eagles couldn’t find any momentum with the bat whatsoever, taking five of the first seven scalps to leave Matt Blackman’s side 7/30, and eventually 8/33 when Dalby got through the gate of Luke Dinger. They clawed their way to 60. A couple of early wickets saw the Dingoes fall to 2/21 and brighten the prospects of the Eagles who had started brightly with the new ball, before gun batsmen Matt Hague (30) and skipper Corey Booth (45) ensured they could comfortably surpass the Eagles’ first innings total, eventually declaring at 7/103. The Eagles are 1/19 at stumps. Batting first, the Pirates got off to a cracking start, compiling 64 for the first wicket, before new recruit Ammar Bajwa (78) and returning star Aditya Ganesh (69) punished the Westers, combining for 23 boundaries and three sixes to flatten the home side, before declaring at 8/309 and with 12 overs left to take some wickets. Despite an early wicket, the Westers fought hard, with skipper Matthew Collett (25) and Peter Atkinson (14) getting their side to 1/48. The match between St Brigid’s/St Louis and Narre Warren at Bonbeach Oval was delayed until Saturday. In Turf 3, Wickets tumbled at Perc Allison Oval, but Beaconsfield remains in a strong position to get its season off on a bright note. The Tigers lost the toss and fielded against Parkfield. Former Wookey winner Alex Roberts (2/15), long time stalwart Callan Tout (3/22), Bill Temby (3/3) and Jake Cutting (1/9) all bowled superbly, and despite brief fight from skipper Tony Payne (28), the Bears could only muster up 104 in 58 overs. The three late wickets for the Tigers had the home side in a spot of bother at 3/19, but Benbow (15) and Kevin Baldsing (14) managed to steady the ship and leave their side 3/48 at stumps, only 57 runs away from victory. 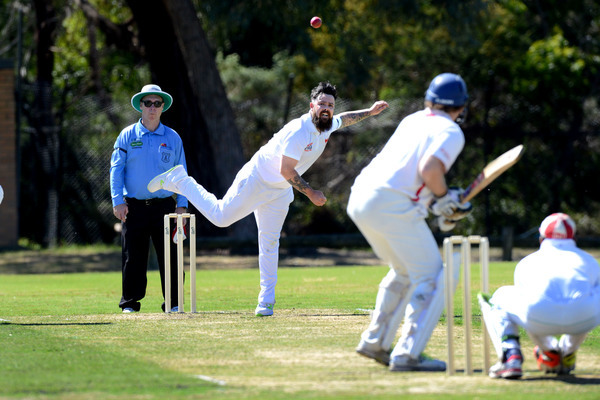 Keysborough, meanwhile, posted a competitive 226 against Fountain Gate at Rowley Allan Reserve, Lynbrook carved up 5/290 against Silverton, while the match between Lyndale and Coomora was delayed until Saturday.